The idiom is that an apple a day will keep the doctor away. I request some clarification. Which doctor? And apples in which form. Since the two varieties of apples that grow in north central Florida are not sold commercially, I am stuck with the selection at the local Publix. I am thrilled when the first arrivals of Honey Crsips come in the fall. 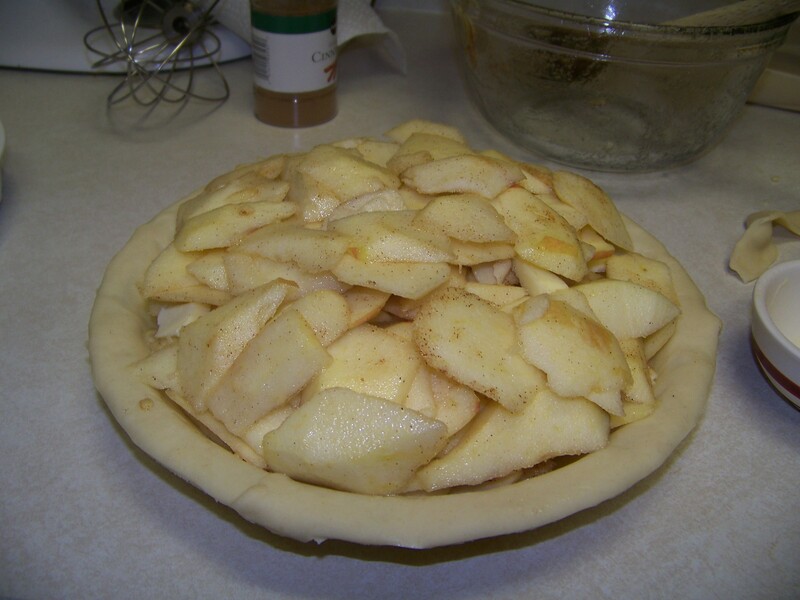 Last week I bought Ambrosia apples to bake a pie for Pi Day at school. It was to accompany the “Egg pie” that closely resembled a ham and cheddar quiche. 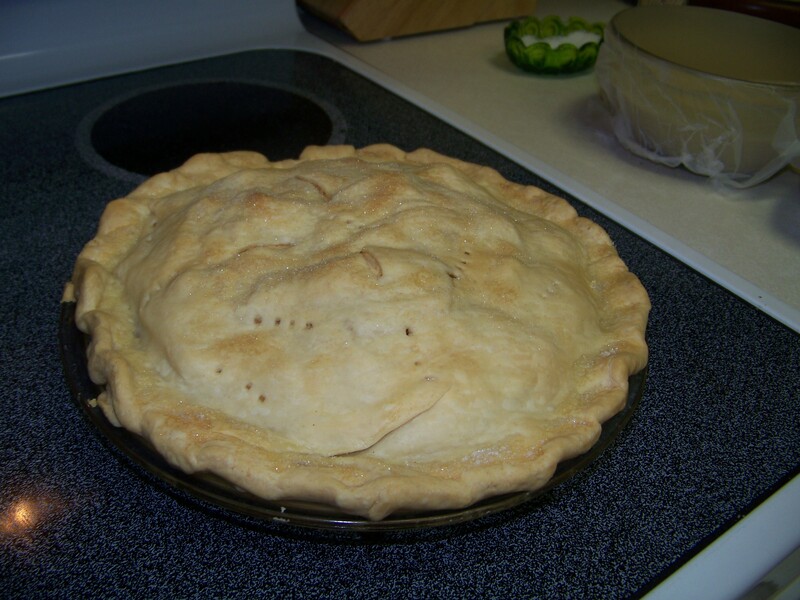 The ham pie was completed; the apples stayed on the kitchen counter until last night around 8PM. 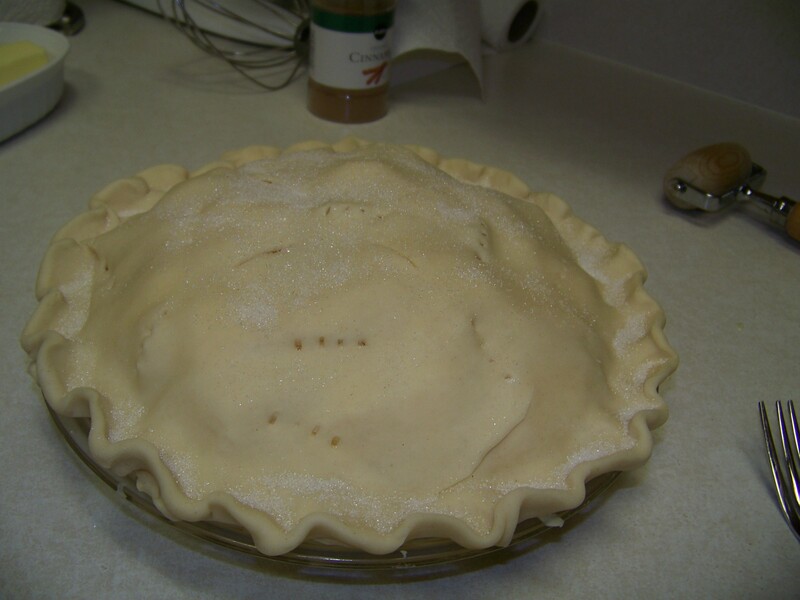 I admittedly cheat with Pillsbury store bought pie crusts, but they are easy and decent enough. Plus I can have a pie in the oven in less than 15 minutes. This means I can have warm apple pie in my tummy in 75 minutes. And pie for breakfast. And maybe a slice in about an hour. Yum! I said the same thing about crust for 20 years of pie baking, and pie is my favorite thing to eat/make by far. Then last summer at a cooking class I had a chef show me how to make crust. It is the simplest thing in the world, but there are hard fast rules about temperature. Dough must stay cold. Keep flour in the freezer and all is easier. Try this technique; it blows all store crusts away. I think the ingredients can vary slightly, the method is what is important. I also have another recipe I like that is slightly sweet. A few minutes before you start, put the bowl and blade of your food processor in the freezer too, can’t hurt. 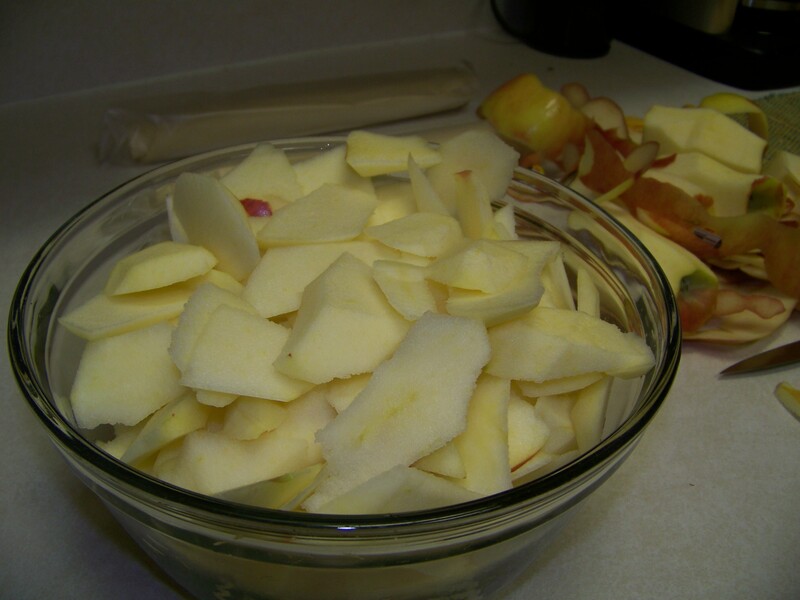 You will have pastry ready in 5 minutes, and while it rests you can cut your apples. This is for a single crust, but you can double of course. Put 1 1/3 c ap flour (from freezer) into your food processor with a metal blade. Thinly slice a cold stick of salted butter right from fridge into the flour making sure the flour keeps the slices separate. Pulse fro a minute until you have crumbs. Measure out 1/4 cup of ice water. Turn on the food processor and pour the water slowly through the spout, then turn it off. You should still have nice even crumbs. Dump them into a gallon zip bag, and firmly press them into a solid. I (quickly) shape it into a circle so I can roll it out easier and it chills more evenly. If making a double crust, do an oval or two bags. It needs to rest in the fridge , about 15 minutes. Then roll it out with minimal flour on your board and you are done. You can freeze it too. I usually like a 375 oven, but it would depend on the filling. Ceramic pie dishes are best. Try thin sliced Yukon gold potatoes, shred Swiss, salt, pepper, and just enough heavy cream that it disappears. Simple and very impressive. Savory pies rock!